Plot - Adapted from a novel by the same name "The Notebook" by Nicholas Spar, it is a movie of a poor young fellow becomes hopelessly enamored with a rich young lady, giving her a feeling of love and freedom, however they are soon separated on account of their social backgrounds. Directed by Nick Cassavetes, The movie revolves around the beautiful couples who met in their youth than separated and again meet in their adulthood. The story revolves around the an old man and a lady to whom he narrates story from the notebook (their actual story) about a young couple who were separated on their social backgrounds and the world war. After seven year the fate makes them meet again and despite of their present life they are attracted to each other once again for the second chance. 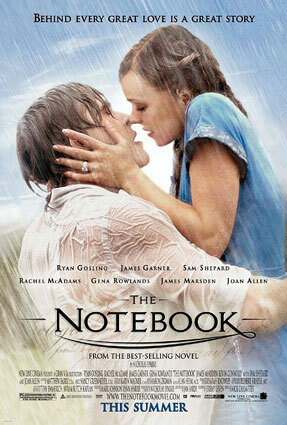 Awards & Nominations Won by "The Notebook Movie"
Box Office Earning of "The Notebook"